Description Monster Escape is a great platform game. Little monster and his twin brother is a lost in the Candyland. You need to help them to get out of there. You need to collect all stars on the stage and find his space ship. 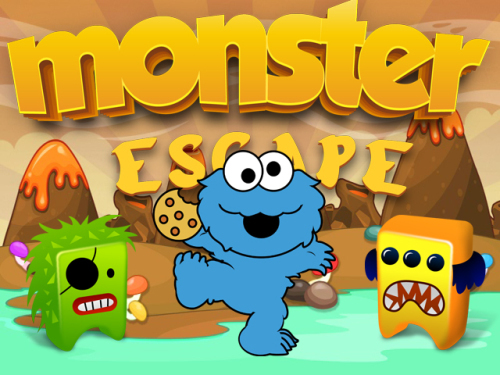 You need to past 20 levels.Blue monster can shoot (down arrow) and Green monster can collect stars. To control player one use arrows keys, for player 2 use W,A,D. Good luck!